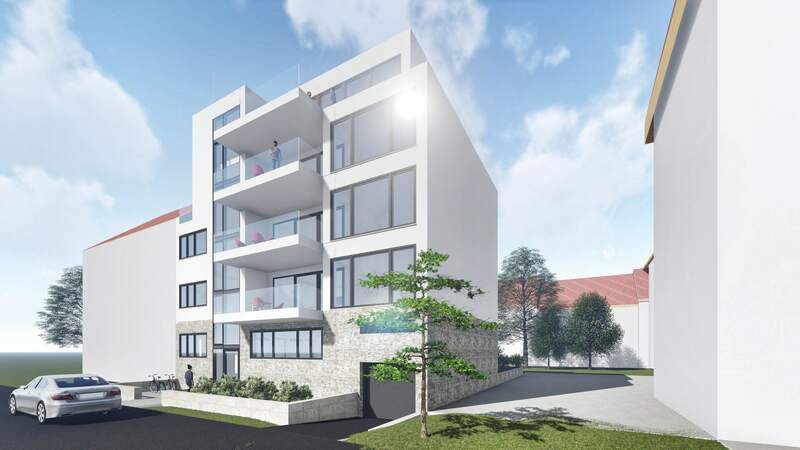 We are pleased to announce the new construction project of G+H Immobilien GmbH & Co. KG, who have already completed numerous renovation and new construction projects in Gohlis and Möckern. In the popular district of Gohlis, an exclusive and high-quality new building with 5 condominiums is being built. The area is characterised by grown single-family house estates as well as multi-family houses from the Wilhelminian period. Gohlis Nord is very well connected and has very good gastronomic facilities, day-care centres, schools, doctors and connections to public transport. The property Schlotterbeckstraße 2 is very quiet, almost at the end of a dead end street. The offered apartments are equipped to a high standard and have underfloor heating, dressing room, chimney stove worth 3,000 €, exclusive bathroom equipment, guest bathroom and a spacious terrace/balcony. The property has an underground car park, a private basement room and a garbage room. The elevator provides access to all floors. Further information on the project can be found in the "Sales" section.